I think that some people bit chewing gum to adjust the mouth environment recently, but recently it seems that an accident happened that the chewing gum exploded in the mouth and the student died. Does it mean that the ingredients of the gum contained things that could explode? Details are from the following. According to this article, a 25-year-old student attending Kiev Industrial College Research Institute in Ukraine on December 5 is found dead under his mouth blowing down from his mouth at home. At the time of the incident, my parents were working on a personal computer, but as I heard explosive sounds from the student 's room, I heard that my son had changed so much when I went to see the situation. According to the police investigation, it seems that chewing gum which the student was chewing has exploded in the mouth, unconfirmed chemical substance adhered to the gum which was left at the site. 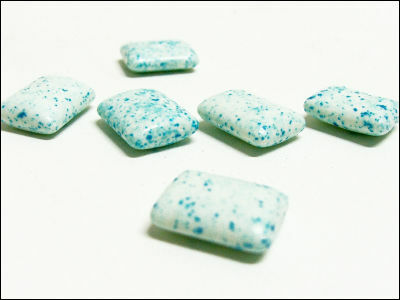 This student seems to have had an unusual habit of putting citric acid on the mouth when you chew your gum regularly, but the same thing as the substance adhered to the gum was found from the student's room from the room of the student, so mistakenly It is thought that it might have confused citric acid and substances that are considered explosives. In order to proceed with the investigation it is necessary to seize the mysterious substance, but the local crime science department refuses as it may explode during transportation. It is said that other experts finally decided to investigate. Although detailed investigation results have not been announced, it is said that there is some movement within 10 days. I was arrested for the reason "There is no toilet at home"